If you want to work with me, I am PR Friendly. Also below are some of the things I offer on my site, I also sell ad space and more, so email for more information. No Cost Reviews: I offer no cost product reviews on my site. It has to be at least $50.00 or more in value though. If it is less, I will charge a fee. No Cost Giveaways: Giveaways are free, if they come with a product review as well. See above. 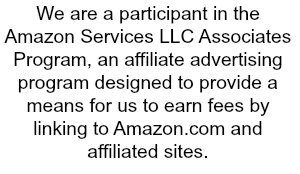 Fee based Giveaways: If you choose to do just a giveaway, then their will be a fee. We can talk about price, as well as 150-300 words and 2 links to your site in post. Ambassadorships and Sponsorships: I am open to possibly becoming an ambassador with your company, and joining in sponsorships! Just contact me and we can go from there! Do you work for free? Neither do I. I enjoy working on my blog daily, but I will say there is a lot of work that goes into keeping it up to date and such! So, that is why I charge on things. I am a business and pay yearly fee’s to keep my site running.